We are excited to announce a new series called “Pupdates” with 6abc Action News! Over the next two years, Action News will follow the journey of Kenzie’s seven puppies who were born on September 27, 2018. Camera crews will be rolling as the puppies spend their first year living with volunteers to learn basic obedience commands and become familiar and comfortable working in a variety of public environments. After completing their first year of training, the journey will continue as the dogs move into the CPL kennel and begin working with CPL’s professional trainers to learn their advanced service skills. At the end of this two-year journey, we will celebrate together as this litter of puppies become life-changing partners for individuals with disabilities. Watch the first video of the series by clicking here and be a part of the fun by helping Action News name two of the puppies featured on “Pupdates”! You can vote for your favorite male and female name by clicking here. 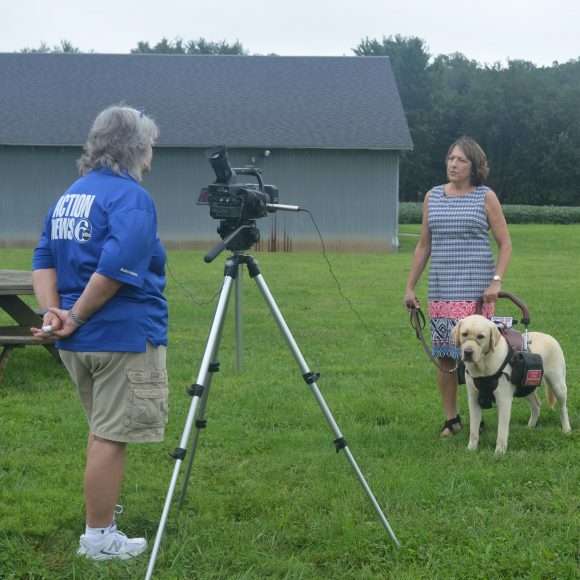 We hope you will join us on this exciting journey to witness how service and companion dogs change the lives of individuals with disabilities.